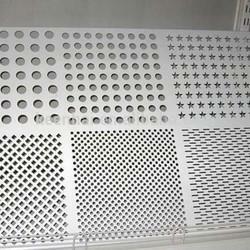 Manufacturer of a wide range of products which include perforated stainless steel sheet. Pioneer in the industry, we are engaged in offering an impeccable range of Perforated Stainless Steel Sheet. Offered steel sheet is made using finest grade stainless steel and latest technology at our well-furnished manufacturing unit. Provided steel sheet is used for covering various items. This steel sheet is perfectly checked by our adroit quality controllers to assure its quality.